Leather sofas and other pieces of furniture require special care and attention that is hard for a non-professional to provide. In addition, leather is a delicate material that needs to be treated with mild and sensitive detergents. So, if you are looking for experienced and trained leather sofa cleaning technicians to help you clean your home or office furniture in Islington N1, our company is the best choice for you. We offer great variety of expert cleaning services that meet not only the highest standards in the business but also the individual needs and requirements of our customers. The entire area of Islington as well as its adjacent areas are fully covered by our company and its leather sofa cleaning services. 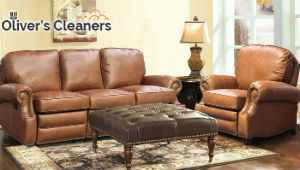 We offer you leather sofa cleaning services that are suitable for both business and residential owners. Our leather sofa cleaning services in N1 Islington will help you maintain the expensive and delicate pieces of furniture at your home or office in perfect condition. They guarantee you impeccability in every single detail and we can promise maximum satisfaction in return to your money. We have several years of professional experience in the field of leather sofa cleaning and work only with fully-trained, vetted and certified cleaners to ensure 100% satisfaction with the results. In addition, our employees are equipped only with the latest machines and cleaning tools, as well as with the most efficient detergents that will help them thoroughly clean every stain, spot, dust or dirt accumulation on your leather pieces of furniture. You can easily reach us in N1 London any time you need some help by simply calling us on the phone or sending us an e-mail. Our customer service representatives are expecting you.